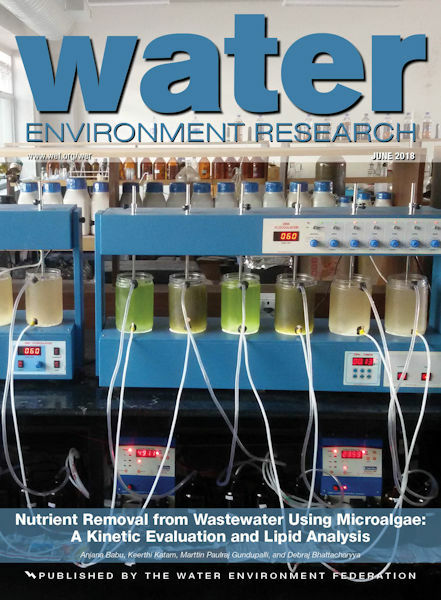 Click to access the June 2018 issue of Water Environment Research. In the June issue of Water Environment Research (WER), an open-access research article explores the best model to use when examining the fate of microconstituents in wastewater. In the article, “General Fate Model for Microconstituents in an Activated Sludge System,” researchers discuss evaluating biodegradation models for the microconstituents 17-ethinylestradiol, bisphenol-A, and triclosan. The study identifies biotransformation as the principal removal mechanism for microconstituents and the pseudo-second-order model as the most accurate.